Forbes predicts that by 2025, millennials (the generation born between 1980-2000) will make up 3/4 of the world's workforce - so, if you're not already managing a millennial, you more than likely will be in the very near future! Being a millennial myself, and having had some experience of managing millennials, I can certainly relate to the various content being shared around 'how to manage a millennial' - a subject that needs to be taken seriously if you intend to motivate and retain the majority of your staff. This is of particular importance within my world, the Salesforce community - a market where candidates are notoriously hard to attract! 1. Millennials have been brought up in an environment with instant gratification. Job satisfaction and fulfillment is often a slow, arduous process, therefore, it's important millennials are given diverse, meaningful tasks with short-term, visible results, coupled with long-term goals, allowing them to learn new skills and keep them engaged. 2. Millennials like to feel they have a 'sense of purpose' and that they're 'making an impact'. Research suggests that millennials are one of the most socially conscious generations and they want to know the 'why' behind their actions. We should give our employees context behind our decisions, and bring them into the larger company picture. 3. According to Sinek and the article linked below, millennials have low self-esteem and their mechanisms for coping with anxiety and stress are poor. If this is true, it's crucial we play a hands-on role and regularly interact with them face-to-face. Providing millennials with feedback has also been shown to keep them motivated and aid professional growth. 4. Consider the role we play as their 'manager'. We've all seen the 'Leader Vs Manager' posts, but it's even more important to a generation who generally show a disregard to historical structures of authority. We should act as approachable mentors who build their confidence and facilitate improved social skills. As I alluded to earlier, Salesforce professionals in particular are tricky to source, so it's crucial to retain what talent we can attract. 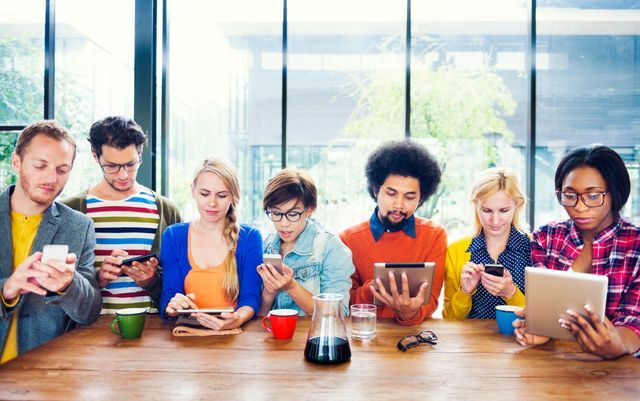 With Salesforce being a relatively new technology, and organisations often turning to graduates who can be upskilled, it's likely that your Salesforce team will be mostly made up of millennials. So, what will you be doing to ensure your time and financial investment in training them keeps them engaged? In order for businesses to retain the best people, managers must understand what motivates millennial employees, simply because millennials will play an increasingly central role in the workforce.